Meet Julie & Ian Deacey. They are the company directors and the husband-wife team who have been managing Floormasters since the late 1980’s. Ian has been in the carpet and flooring trade ever since he left school. He trained as a floor layer in Wombwell in 1984 and then went on to become a contract installer before starting his own business. 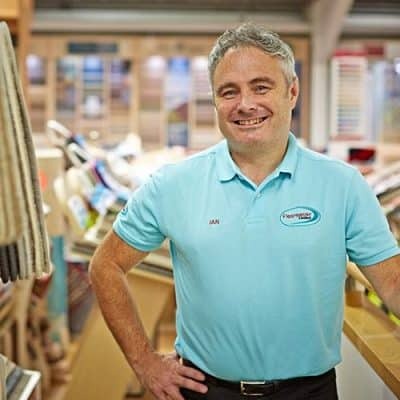 He has a vast amount of experience in both fitting and sales and has always been passionate about carpets and flooring.